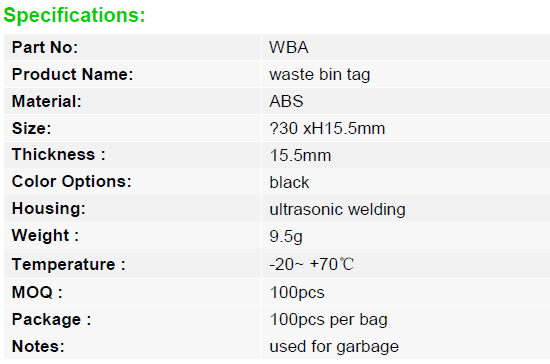 Click the button below to add the WBA - RFID waste Bin Tags, support LF/HF/UHF to your wish list. With different capsulation, RFID tags can be used for vast sphere, such as clothing, jewelry, luggage, garbage, pet identification etc. GYRFID offers various types RFID Tags with different material, size to meet different applications.